Elizabeth Grace Priebe, 95, of Alpena passed away Friday, November 2, 2018, at Touch of Country Adult Foster Care. Elizabeth Grace Clark was born May 27, 1923 in Birmingham, Michigan and later moved to Dearborn. 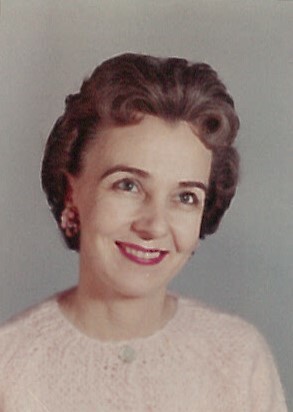 She attended Dearborn Public Schools and was a Dearborn Public Schools secretary for 30 years. Upon retirement, she moved to Alpena, Michigan. Elizabeth will be fondly remembered for her kindness to others, love for children and animals. Surviving are her granddaughter, Laura Gohl; grandson, Eugene Hornyak Jr. (Darby Wikaryasz); great grandsons, Eric and Colin Gohl (fiancée Megan Rea); and faithful feline companion, “Sootie”. Mrs. Priebe was preceded in death by her daughter, Sandra Priebe; granddaughter, Lisa Hornyak; and her husband, Robert C. Priebe. Visitation will take place at Bannan Funeral Home on Tuesday from noon until time of the funeral service at 3 p.m. with Reverend Thomas Orth officiating.